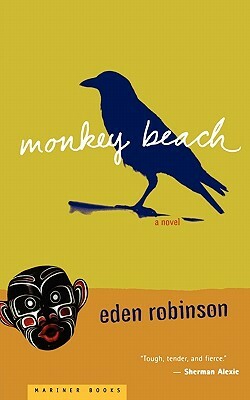 Robinson's mastery is confirmed in Monkey Beach, the first full-length work of fiction by a Haisla writer and an unforgettable story set in the wilds of the Pacific Northwest. This powerful novel reminds us that places, as much as people, have stories to tell. Five hundred miles north of Vancouver is Kitamaat, an Indian reservation in the homeland of the Haisla people. Growing up a tough, wild tomboy, swimming, fighting, and fishing in a remote village where the land slips into the green ocean on the edge of the world, Lisamarie has always been different. Visited by ghosts and shapeshifters, tormented by premonitions, she can't escape the sense that something terrible is waiting for her. She recounts her enchanted yet scarred life as she journeys in her speedboat up the frigid waters of the Douglas Channel. She is searching for her brother, dead by drowning, and in her own way running as fast as she can toward danger. Circling her brother's tragic death are the remarkable characters that make up her family: Lisamarie's parents, struggling to join their Haisla heritage with Western ways; Uncle Mick, a Native rights activist and devoted Elvis fan; and the headstrong Ma-ma-oo (Haisla for "grandmother"), a guardian of tradition. Haunting, funny, and vividly poignant, Monkey Beach gives full scope to Robinson's startling ability to make bedfellows of comedy and the dark underside of life. Informed as much by its lush living wilderness as by the humanity of its colorful characters, Monkey Beach is a profoundly moving story about childhood and the pain of growing older--a multilayered tale of family grief and redemption.